There are a lot of different types of gangs. There are motorcycle gangs, over-the-hill gangs, our gang, and gang busters. Wrap them all together and you have the Warthogs. 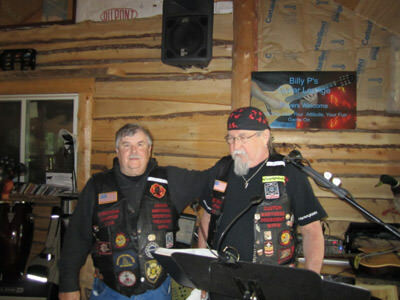 I have been honored to be accepted as an associate member of this prestigious group of bikers. 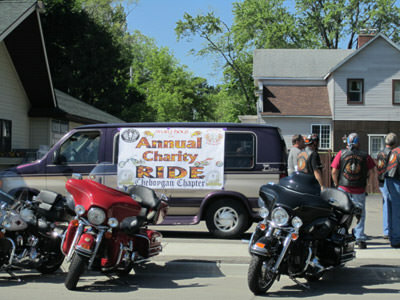 In late June, my Cheboygan, Michigan chapter staged a charity ride. The town was full of Warthogs. The throaty roar of Harley Davidsons filled the air. 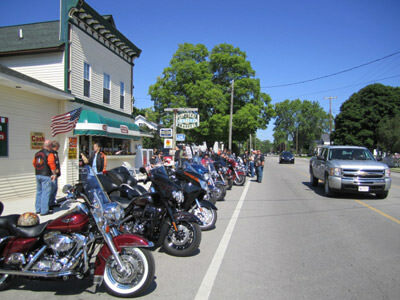 Cheboygan’s main street was lit up with the gleam of chrome, polished enamel, and leather. The Warthogs are a group of tough looking men and pretty women. They were in town to have fun and assist in a charitable fund raiser. All proceeds go to assist the families of police and firefighters in time of need. 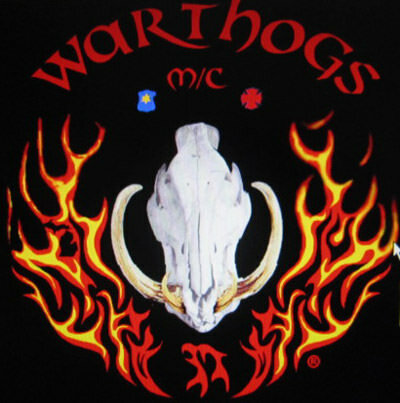 The Warthogs are a mix of public safety workers with the majority of them being police officers. Next in number are firefighters. I am a part of the firefighter contingent. There are prison guards, probation officers, prosecutors, and probably every part of the public safety sector you can imagine. It can truly be called an All American Gang. I think they added us firefighters to elevate the IQ level of the group but I will cede the guts and machismo factor to the cops. The touch of beauty and glow goes to the girls who ride with the Warthogs. Some have their own bikes. It was great weekend. 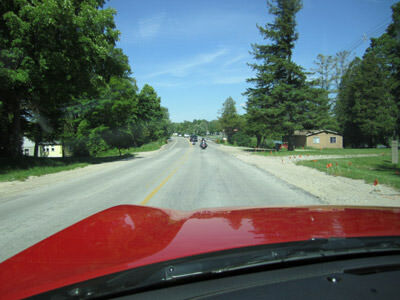 A glorious blue sky, a bright sun and balmy weather made it a special day to ride a motorcycle. I was charged with manning post number three of the poker run. I had to sit on a stool in the bar at the Northwood's restaurant. My job was to have the riders draw a card to fill a poker hand. A prize was given to the winners at the end of the day. As the various groups rumbled into the parking lot, I could see the civilians in the restaurant turning their heads to see what was happening. When the bikers entered they were orderly and polite. I could see the patrons breath a sigh of relief. 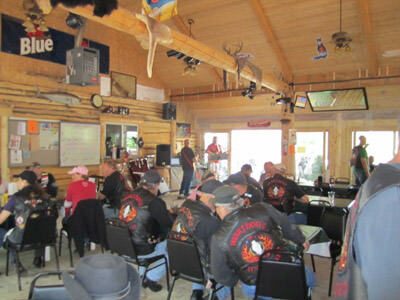 We ended the ride with a grand meal at the Black Mountain Lodge. Free drinks, scrumptious food along with a live band closed a day of fun. George, our president, awarded colors to Jan, one of our probationary members. 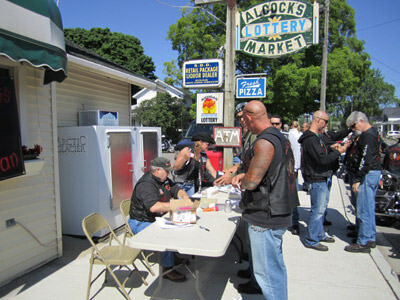 Pig Dog (a retired Detroit cop) won the poker run money with a full house. Everyone left with a smile on their face. For me it was a special day where I was able to help with the work, I was able to hear some great police stories, and I had a sense that this country would always be safe because of the quality of people who ride with the Warthogs. It is a great motorcycle gang. Live band plays to the sound of bikers drinking beer. President and secretary thank riders for participating.